Can be effortlessly locked down at any point along the rails with a single hand. The RetraxPRO MX has the same durable aluminum construction as the RetraxPRO, but has a textured matte black powder coat. The RetraxPRO MX rolls on sealed ball bearings which offers supreme protection to freezing up under extremely cold environments with zero maintenance required. The canister features an anti-rub spiral design that prevents the cover from rubbing against itself while retracting or resting in the canister. Drainage tubes allow the collected runoff water in the Canister to exit without getting into your bed. 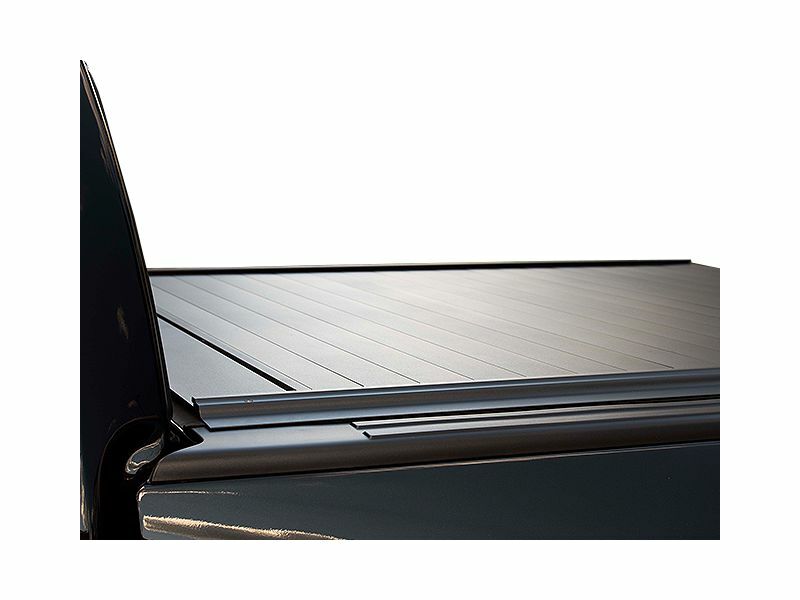 Total truck bed security is ensured with the lock system on the cover combined with the tailgate lock. The RetraxPRO MX tonneau cover is an easy at home no-drill installation, all you have to do is clamp it on. For additional information call us at 877-216-5446 or 701-253-5906.